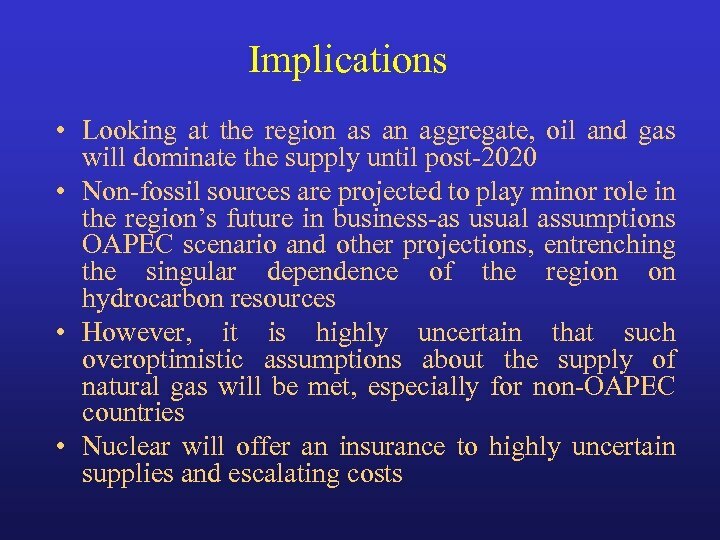 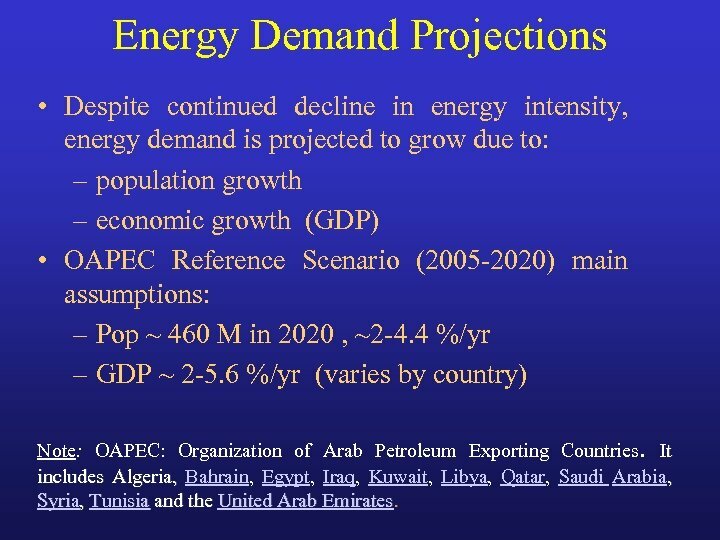 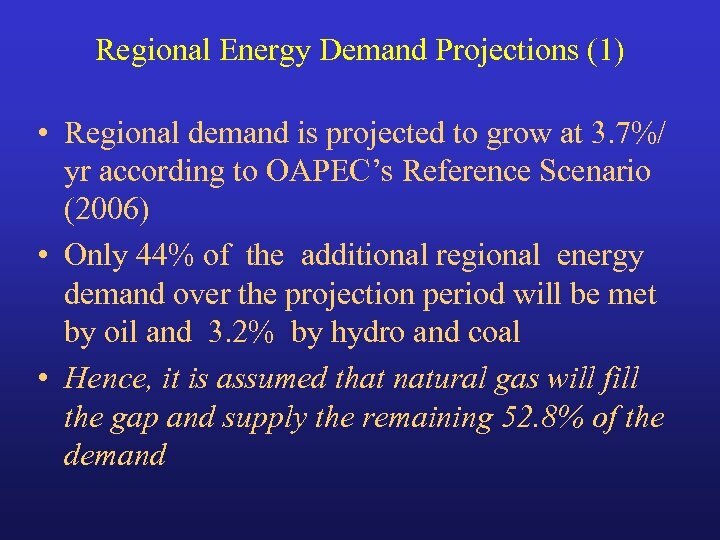 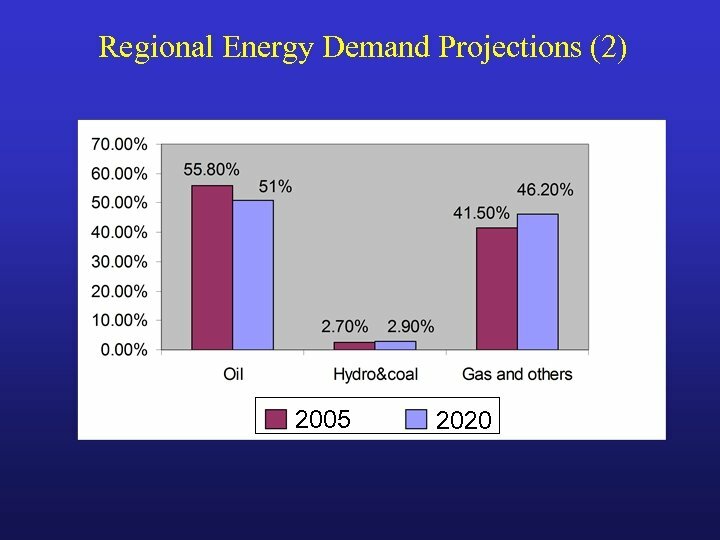 Energy Demand Projections • Despite continued decline in energy intensity, energy demand is projected to grow due to: – population growth – economic growth (GDP) • OAPEC Reference Scenario (2005 -2020) main assumptions: – Pop ~ 460 M in 2020 , ~2 -4. 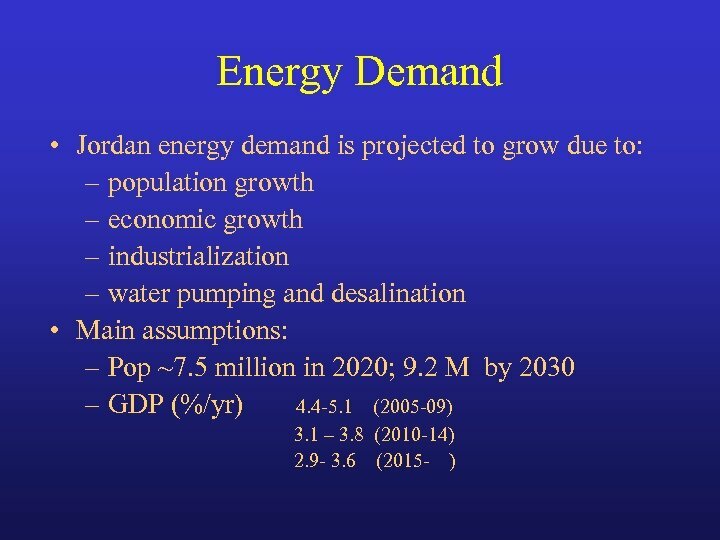 4 %/yr – GDP ~ 2 -5. 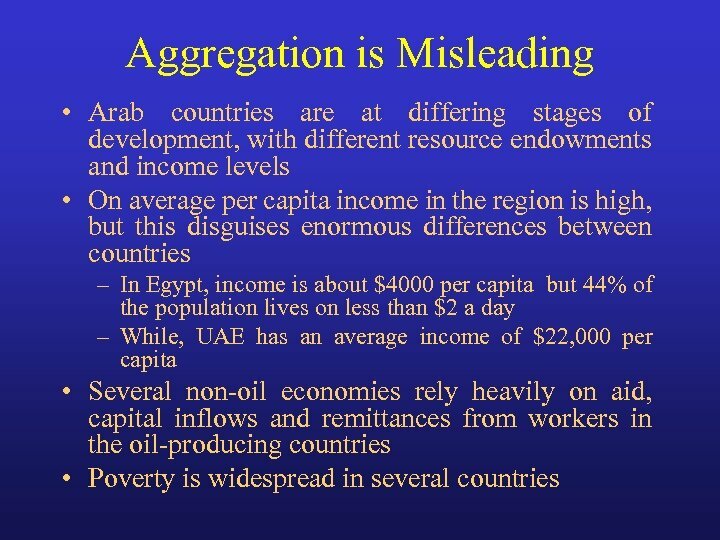 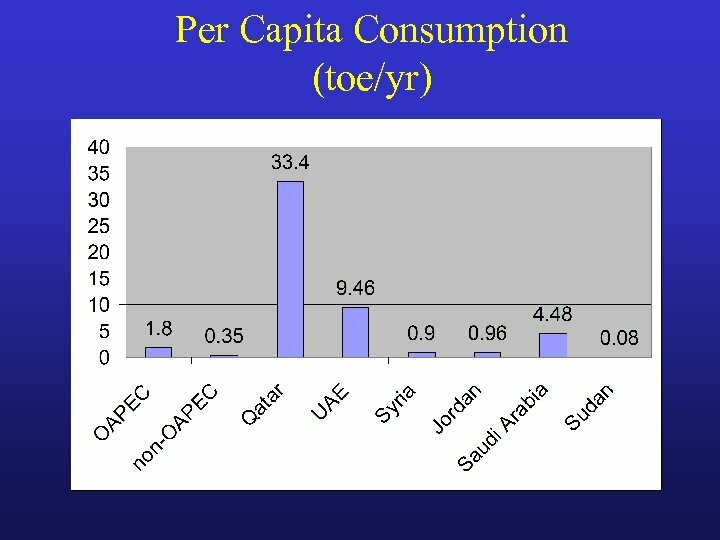 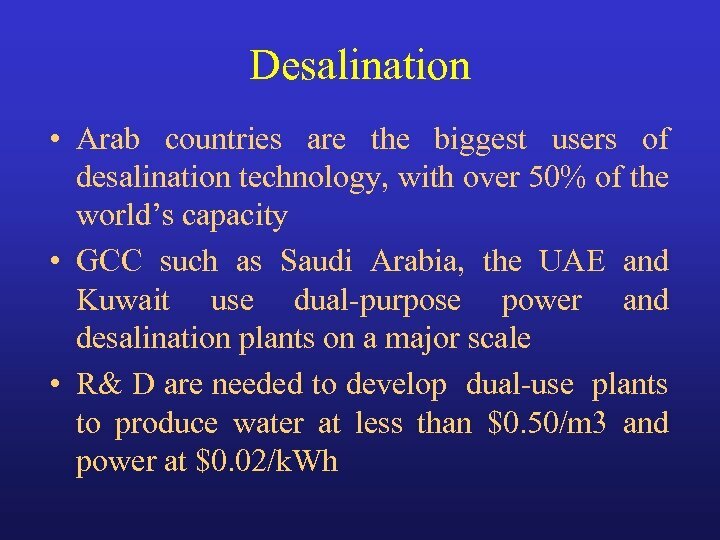 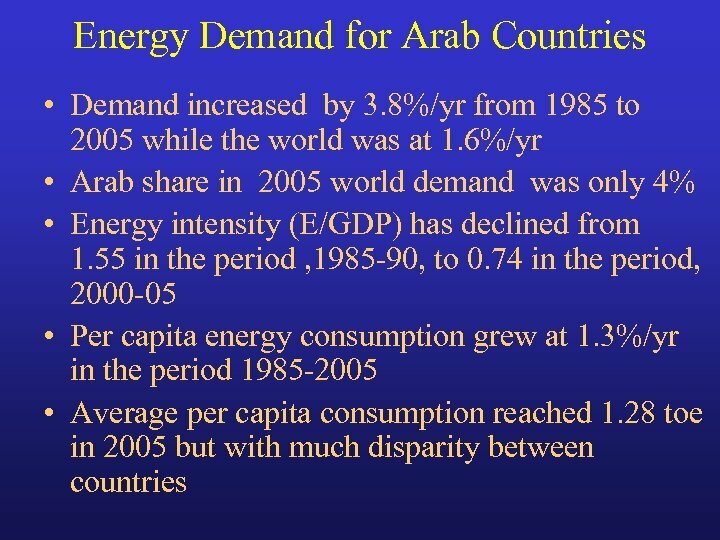 6 %/yr (varies by country) Note: OAPEC: Organization of Arab Petroleum Exporting Countries. 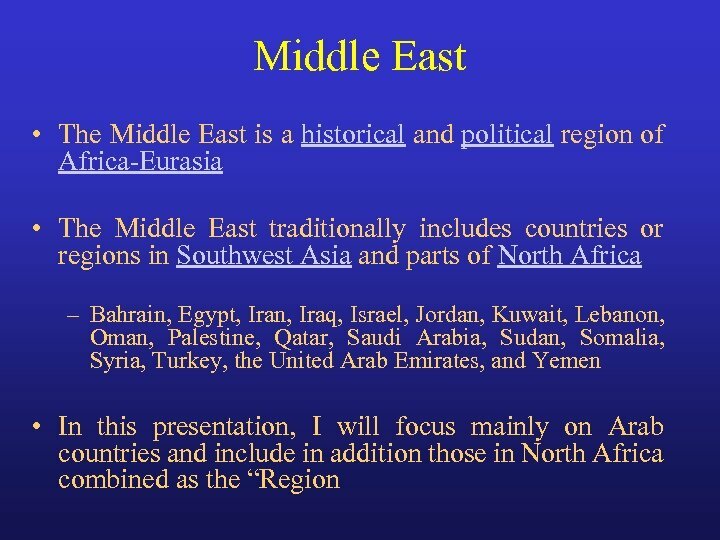 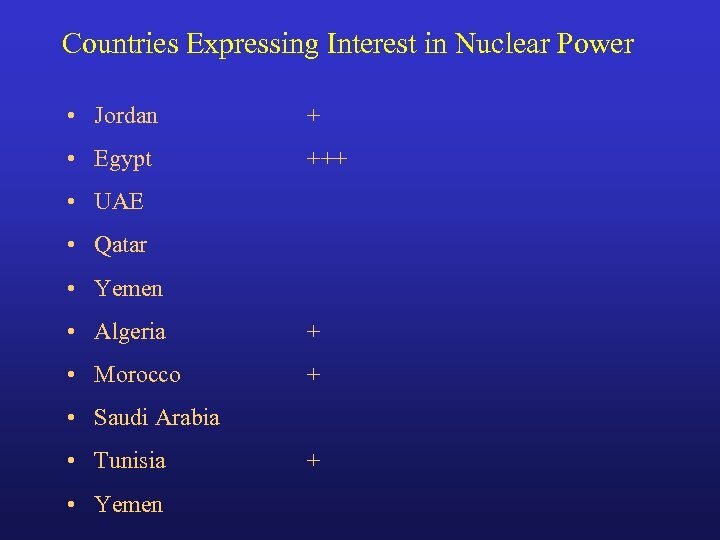 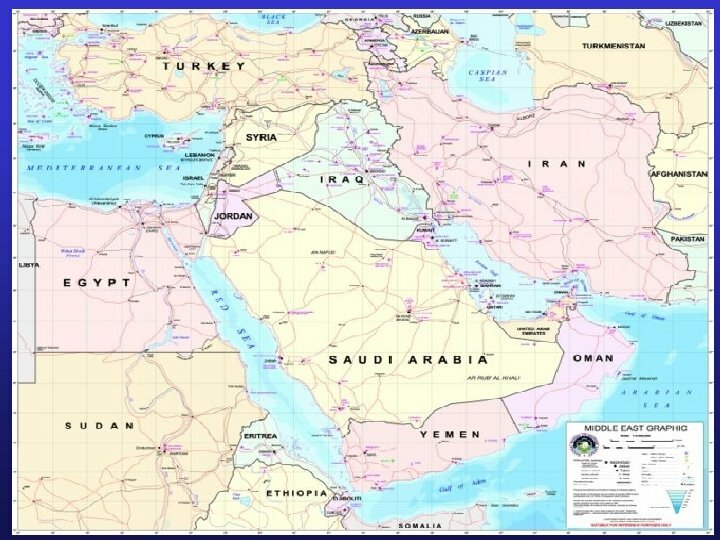 It includes Algeria, Bahrain, Egypt, Iraq, Kuwait, Libya, Qatar, Saudi Arabia, Syria, Tunisia and the United Arab Emirates. 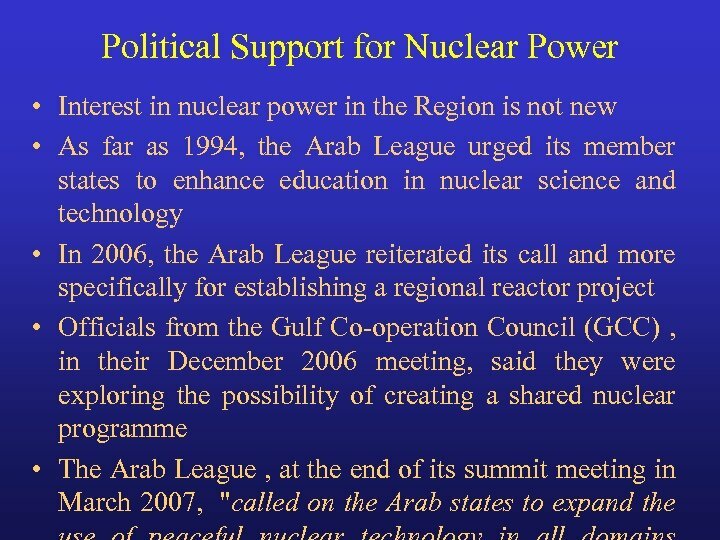 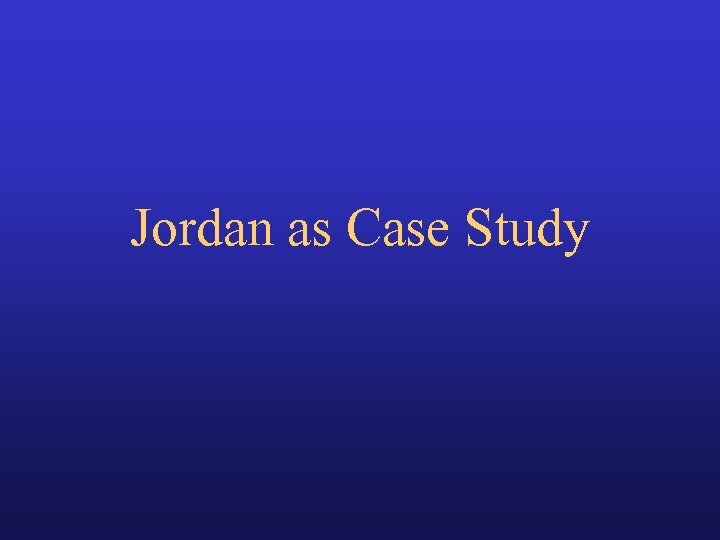 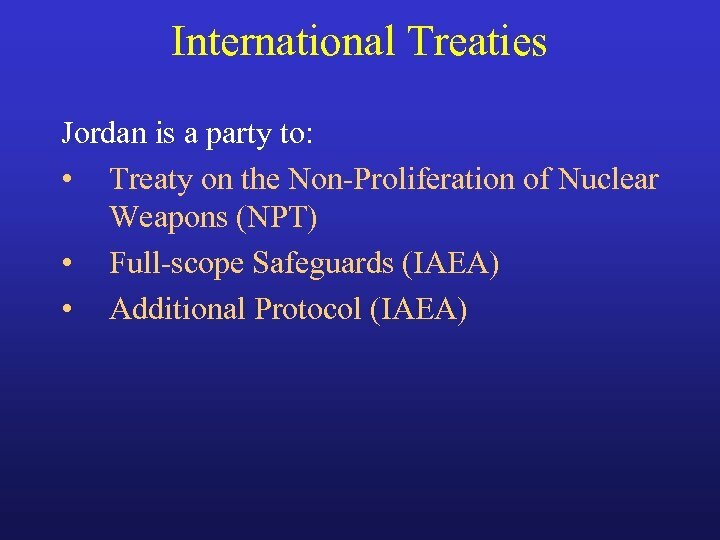 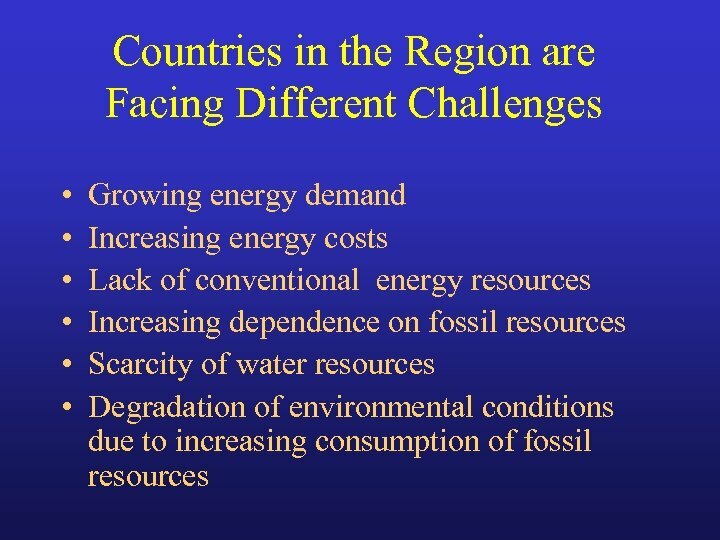 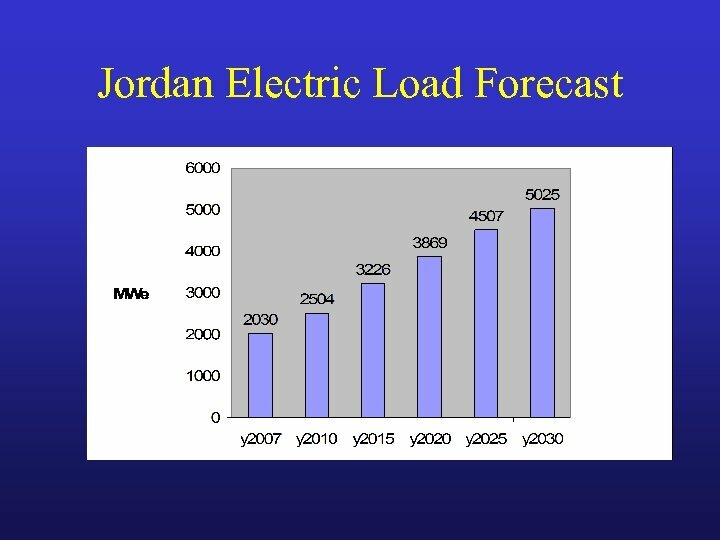 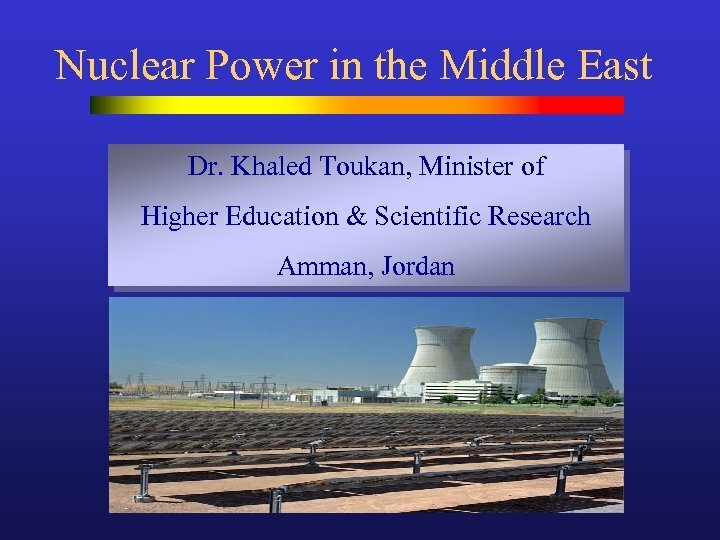 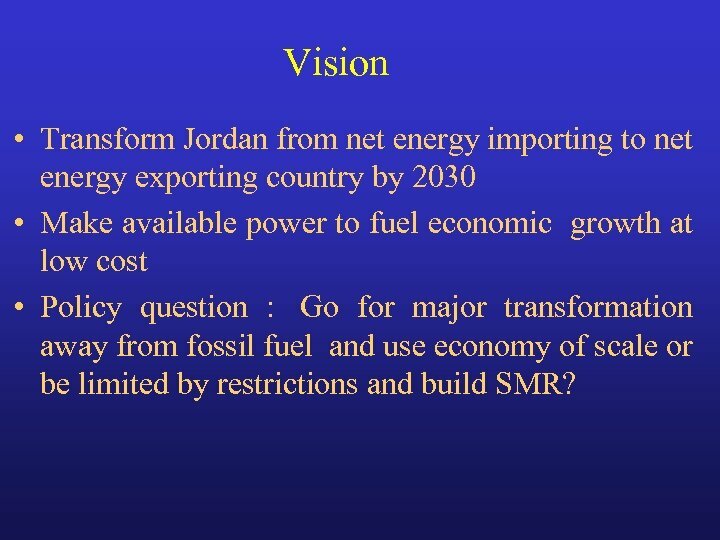 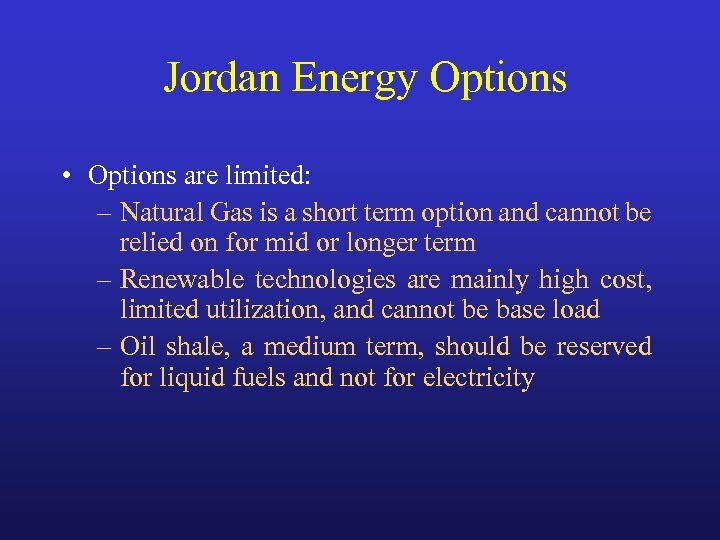 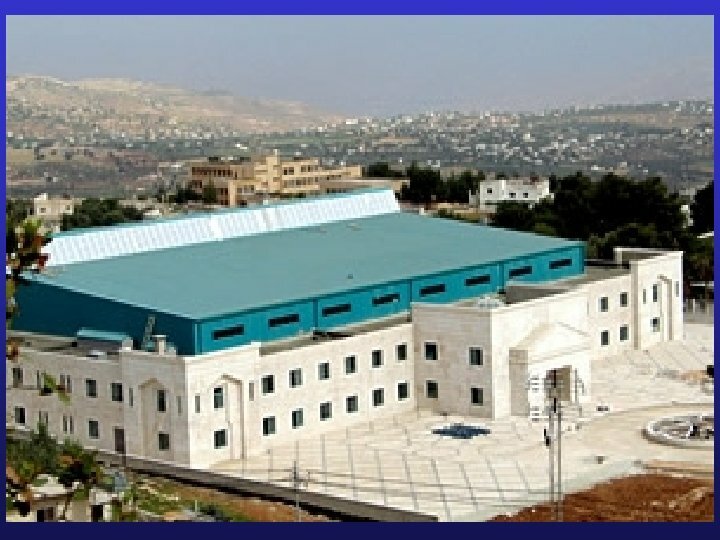 Vision • Transform Jordan from net energy importing to net energy exporting country by 2030 • Make available power to fuel economic growth at low cost • Policy question : Go for major transformation away from fossil fuel and use economy of scale or be limited by restrictions and build SMR? 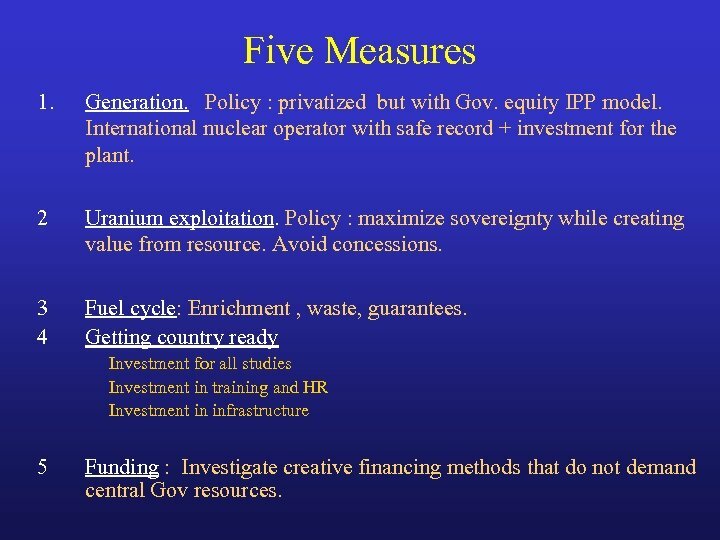 Five Measures 1. 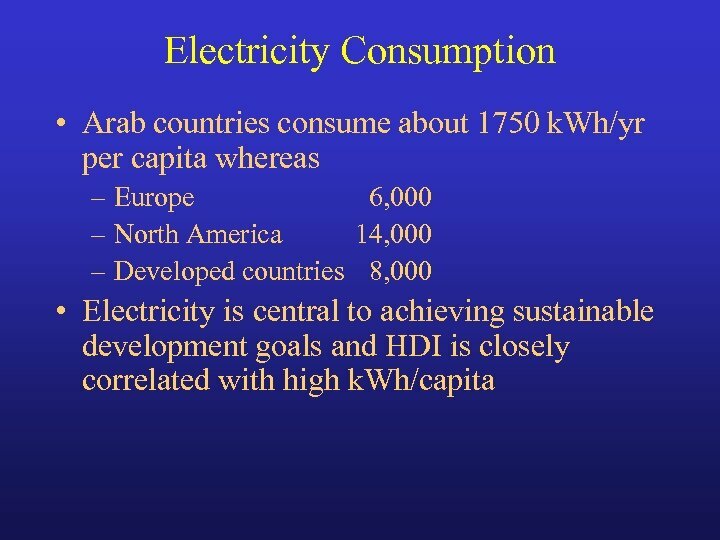 2 3 4 Generation. 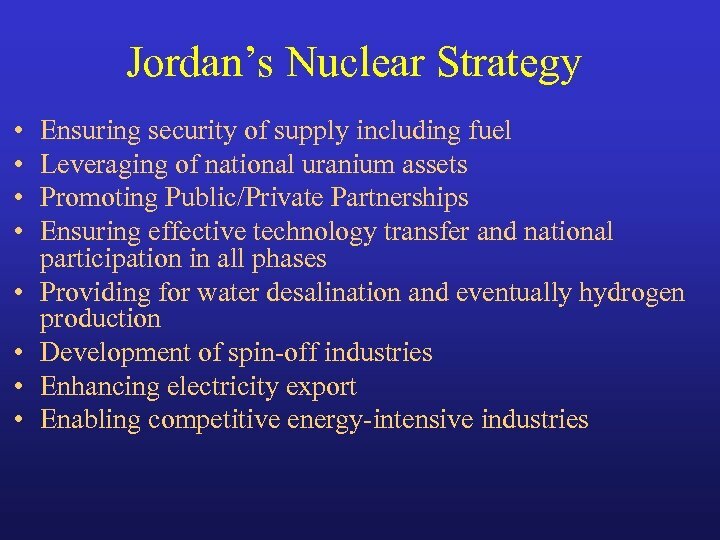 Policy : privatized but with Gov. 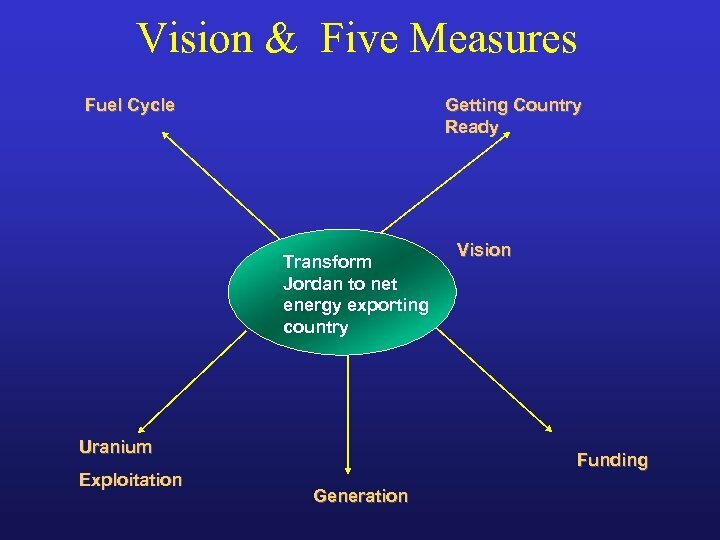 equity IPP model. 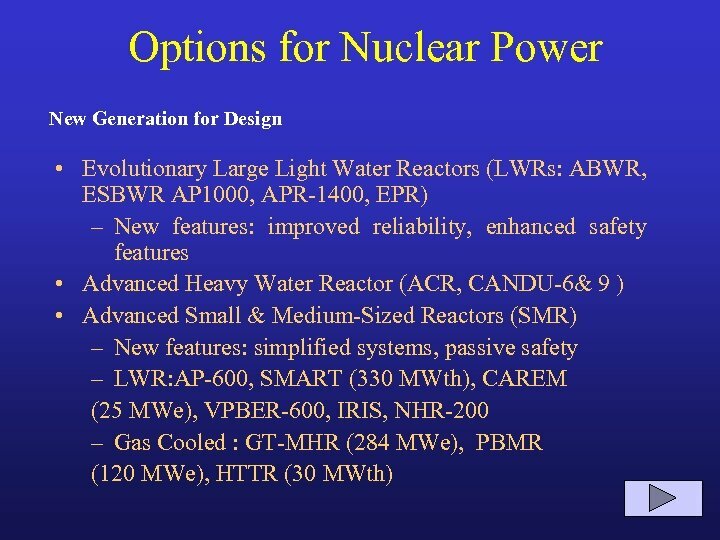 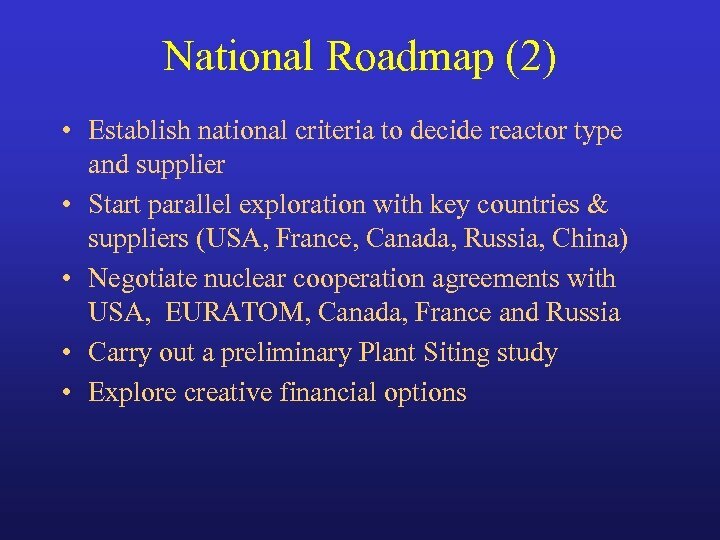 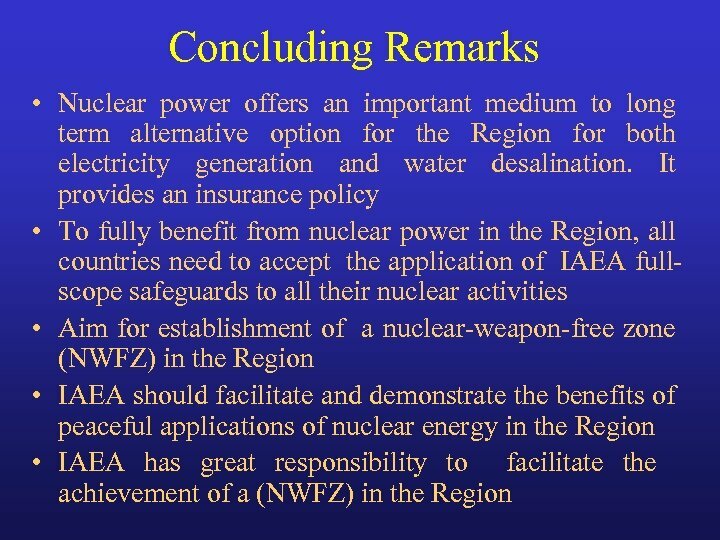 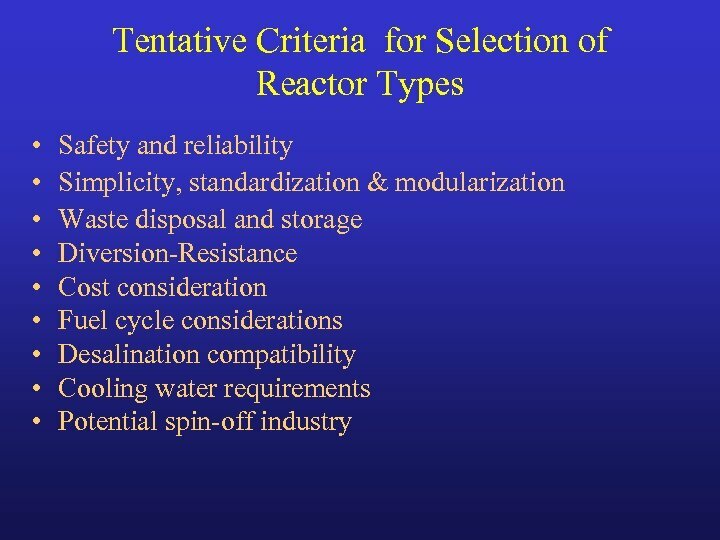 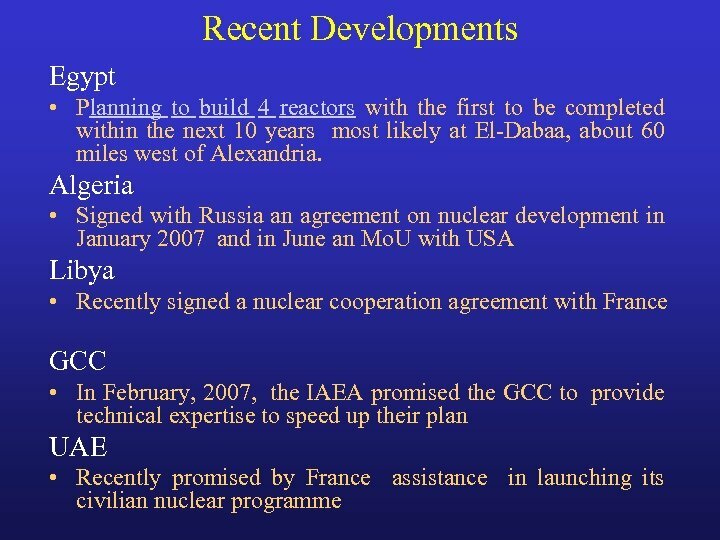 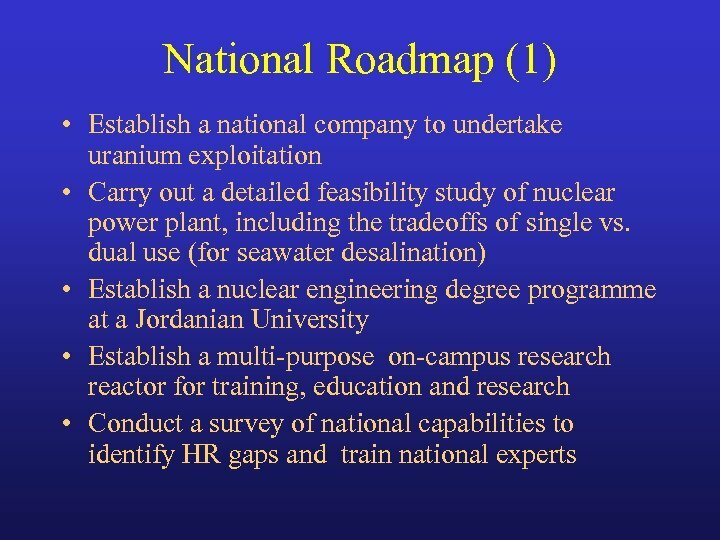 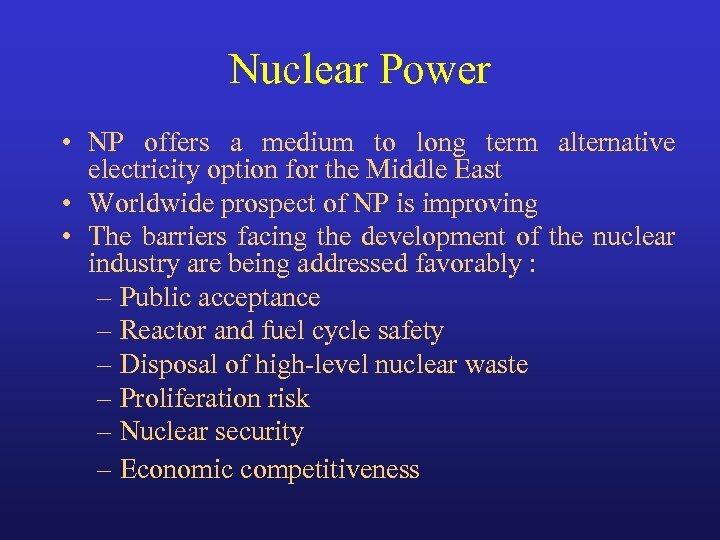 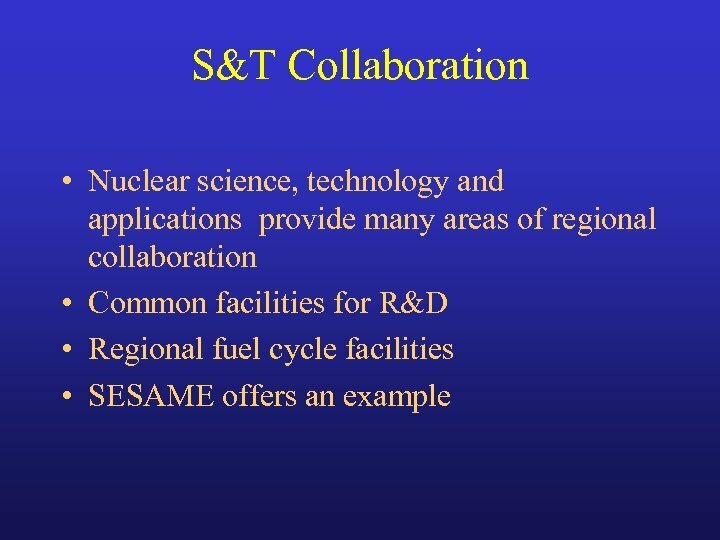 International nuclear operator with safe record + investment for the plant. 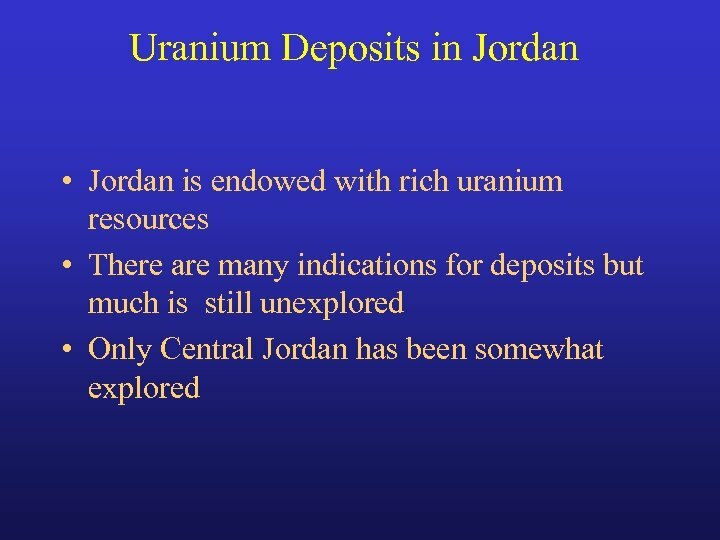 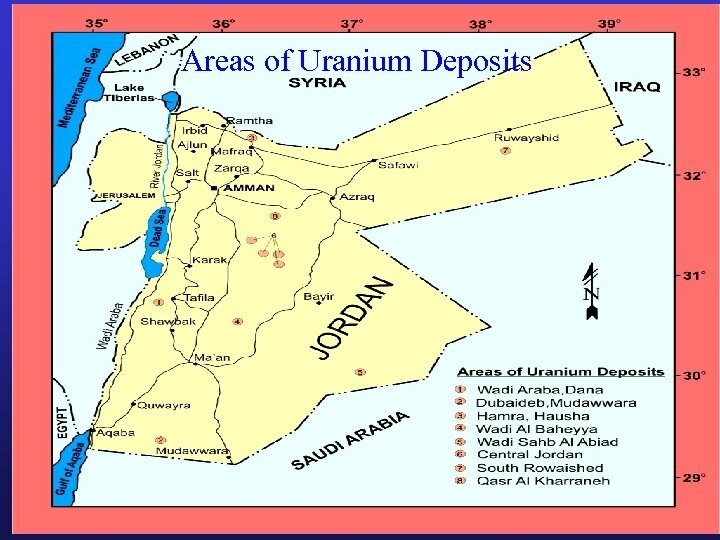 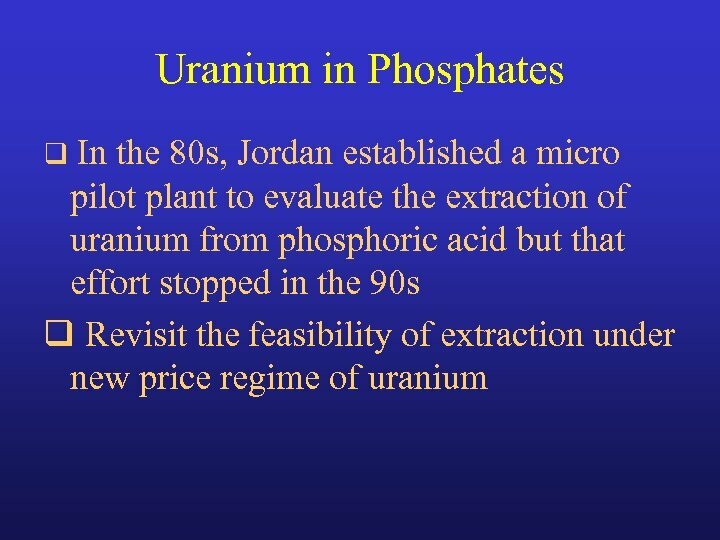 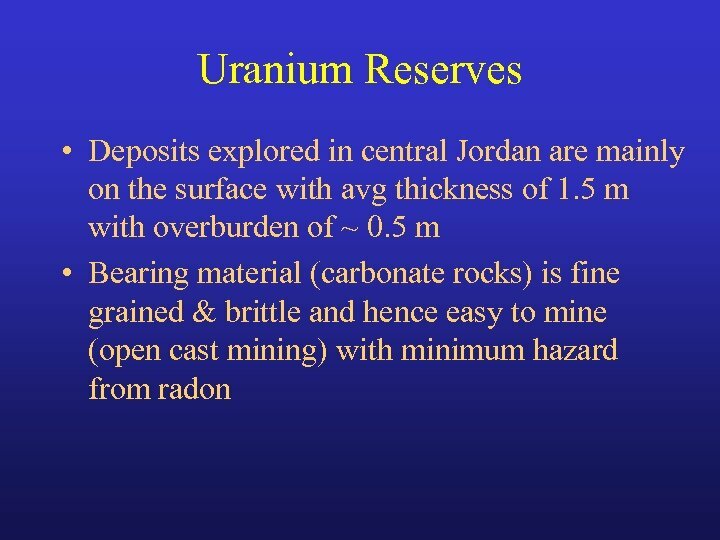 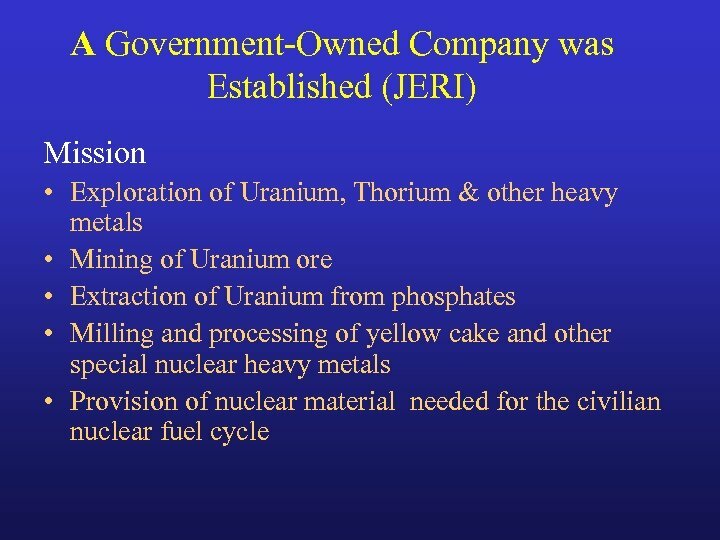 Uranium exploitation. 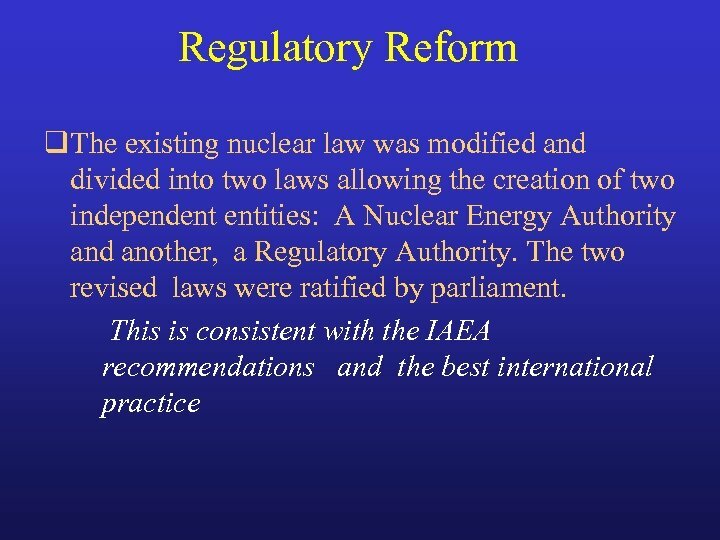 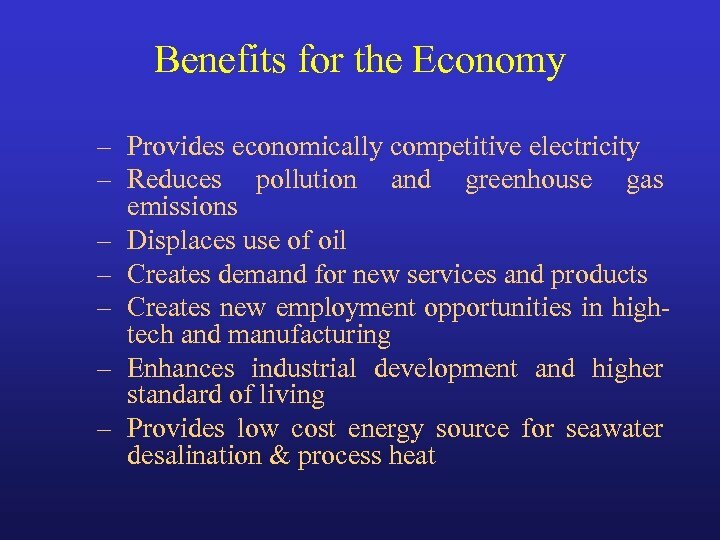 Policy : maximize sovereignty while creating value from resource. 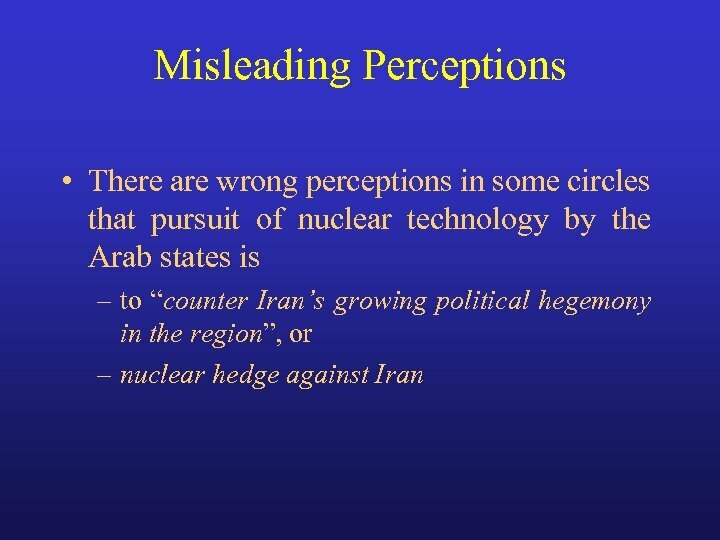 Avoid concessions. 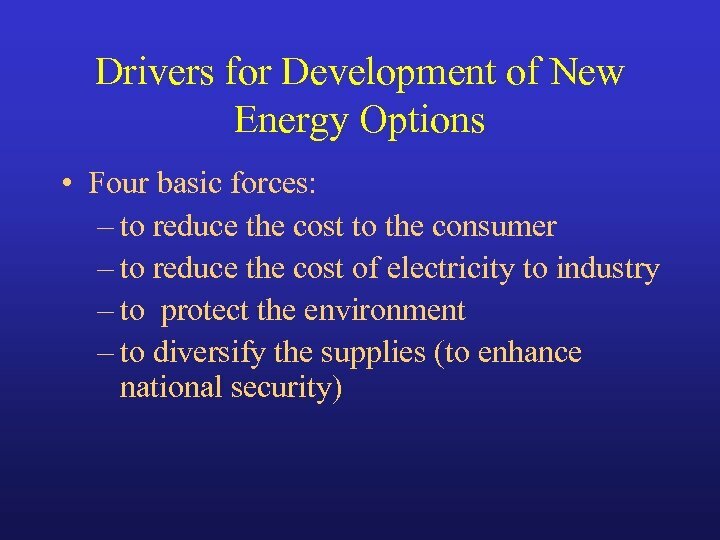 Fuel cycle: Enrichment , waste, guarantees. 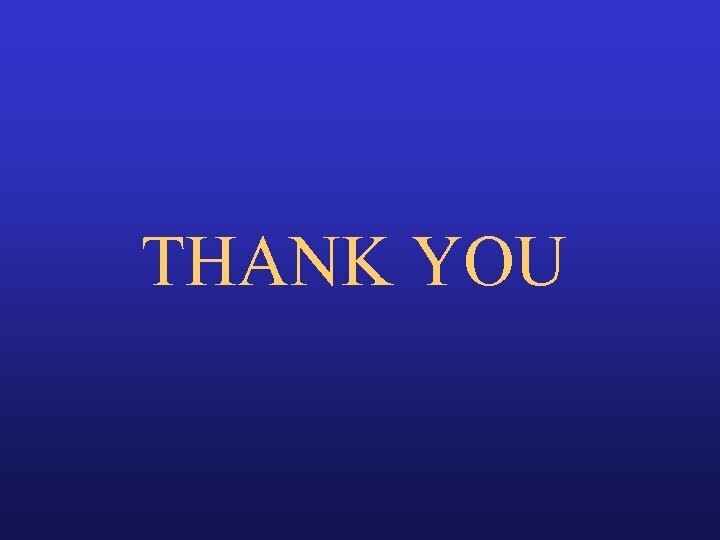 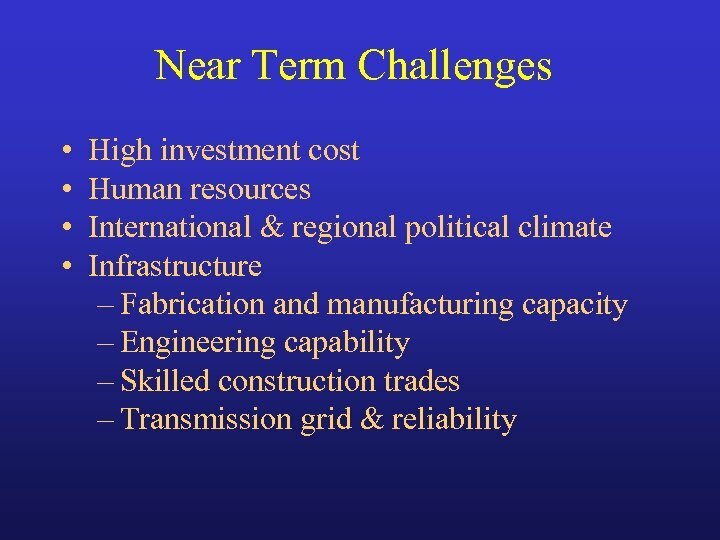 Getting country ready Investment for all studies Investment in training and HR Investment in infrastructure 5 Funding : Investigate creative financing methods that do not demand central Gov resources.